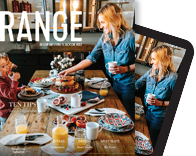 Home tech––from smart doorbells to voice-activated thermometers–– looks good and wants to make your life easier. 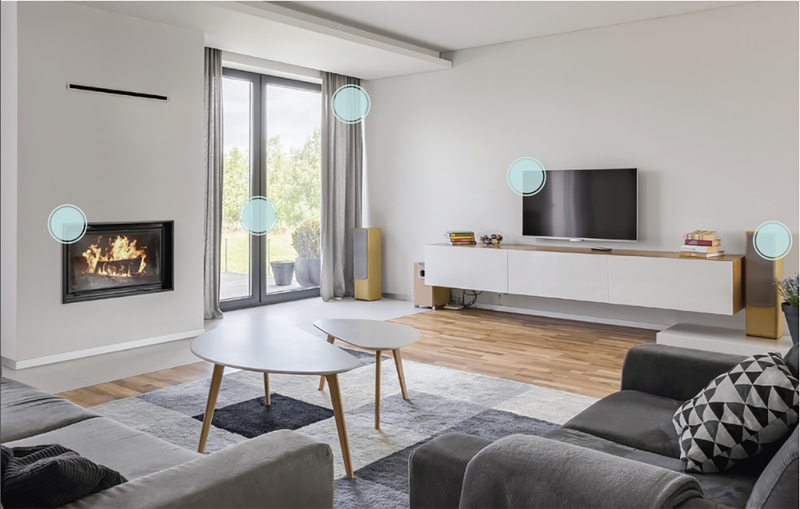 A smart living room can make life simpler and design cleaner. A few years back, a friend bought the best remote control available at that time. It was supposed to turn on the television, control sound and volume, play music, change channels or CDs, and stream Spotify. The marketing materials proclaimed this was everything anyone ever needed a remote control to do. There was one problem: It didn’t work. Or rather, we—two fairly intelligent (albeit middle-age) adults—could not figure out how to make it work. The result? The remote sat untouched in its charging station while we manually turned on the television and speakers and adjusted the sound, volume, and channels. Hollywood’s image of futuristic homes has fueled our imaginations for years. Everything, according to the movies, will be automatic, streamlined, efficient, and controlled with a word, button, or programmed schedule someday soon. The Jetsons have a robot maid and walk on their ceiling in space boots. In the 2013 Spike Jonze movie Her, the lead character plays a three-dimensional video game projected throughout the room—no screen or controls in sight. His hand movements control the action, while his operating system talks to him through an ear bud. But the reality is that for a long time smart-home technology has been glitchy and expensive. Programmable thermostats have been around for nearly 20 years, but in 2009 Energy Star temporarily stopped recommending them—not because they didn’t save energy, but because they were too hard for consumers to operate. It’s the same with voice recognition. How many times have you found yourself yelling at Siri when she gives you the totally wrong answer? And how many remotes sit, like my friend’s, unused on the shelf? For those of us who want to stick our toes into the water but aren’t ready to take the full plunge, there are do-it-yourself options. For roughly $250 you can get the Ecobee4, a smart thermostat that has Amazon’s personal assistant, Alexa, built in so you can control all your smart devices with it. With Alexa’s help, the Ecobee4 plays music, generates shopping lists, looks up information on the internet, turns on the television, calls a friend, or adjusts the temperature when someone enters a room. 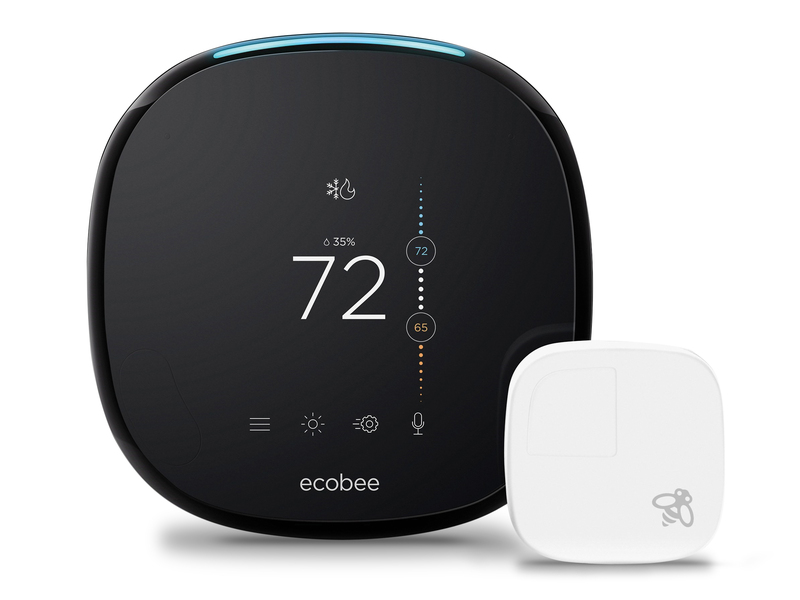 Plus, the Ecobee 4’s sleek design and size (a 4.29-by-4.29-inch black square with rounded edges) allows it to blend into your home décor without calling attention to itself. Hill says the majority of today’s new homes have some form of smart-home technology designed into them at the planning stage. The most popular kinds of tech include robust network infrastructure for internet access, thermostats, motorized window shades, lighting, entertainment, cameras, and security. 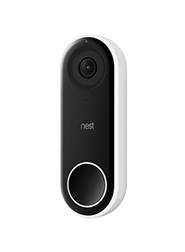 Still, “Many times people don’t consider adding technology to their home until they are well into the build process, and at that point they are somewhat limited as to what can be done,” he says. “This is unfortunate. It should be considered and added to the build at the onset. 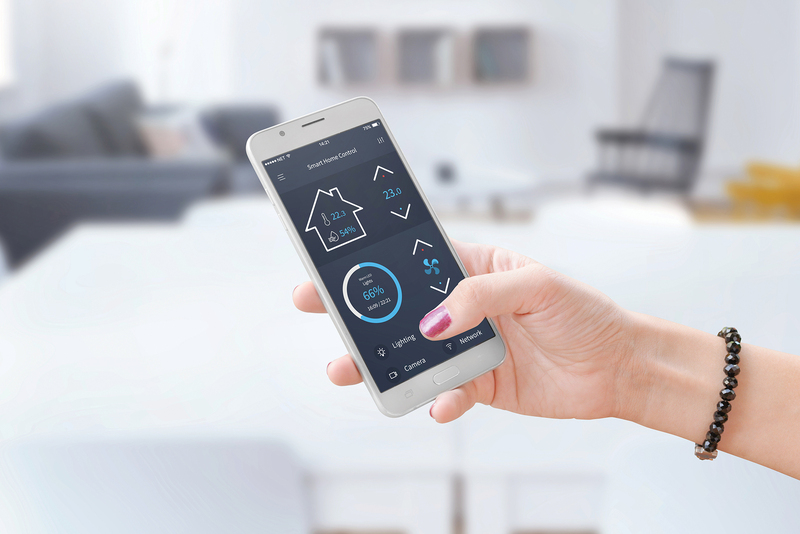 A good, realistic place to start is to allow 5 to 7.5 percent of the overall construction budget for electronics and smart-home features.” Adding these after the initial build will cost more.